This is a guest blog from Appleseed intern Angela Ching. 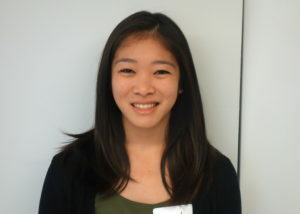 Appleseed intern Angela Ching is a UNL student from Kailua, Hawaii. In 2005, the Nebraska Legislature voted to override the veto of then-Governor Dave Heineman and passed a bill (LB 53) that automatically restored voting rights to former felons two years after they completed their entire sentence — including probation or parole. 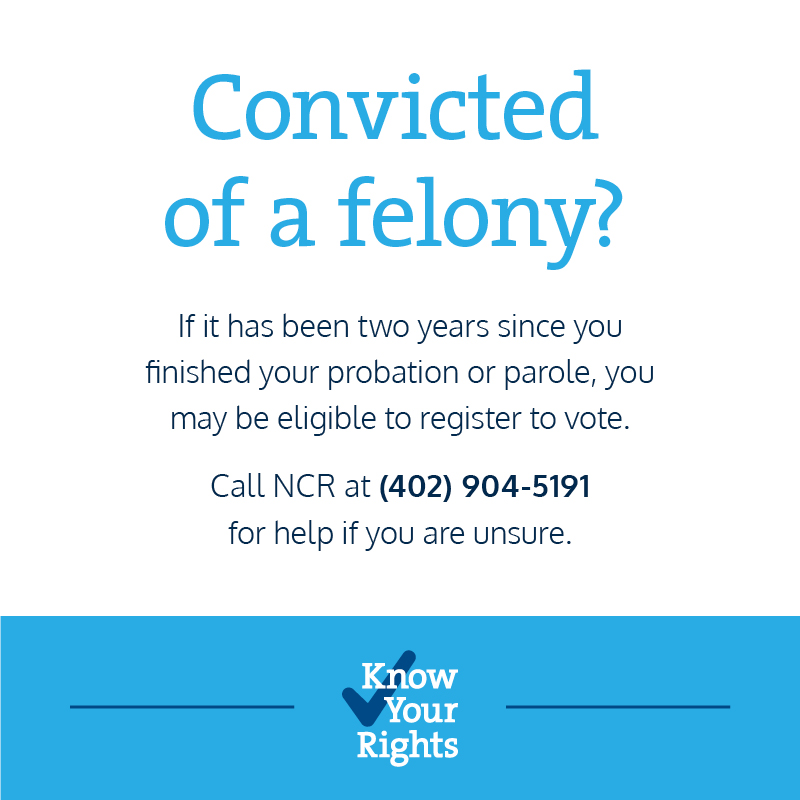 A significant portion of Nebraska’s communities are affected by this voting law, and with the 2016 general election soon approaching in November, accurate information on voting eligibility for ex-felons is vital for everyone to know their rights. This May, ACLU of Nebraska conducted a phone survey and found that more than half of all counties in Nebraska provided incorrect information on felon voting rights. Contact Nebraskans for Civic Reform for more information about voting rights. Felon voting rights is a state-by-state issue. In Maine and Vermont, people convicted of felonies can vote from prison while serving their sentence. Iowa, Kentucky, and Florida permanently ban everyone with a felony conviction from voting. Other states restore voting rights based on various conditions. Though felon disenfranchisement dates back to ancient Greece, it became a much more popular practice in the U.S. following the Civil War as a way to implicitly oppress black voters. Prior to LB 53, Nebraskans with felony convictions had to wait 10 years, then receive a pardon from the governor, in order to vote again. When the bill passed in 2005, it affected approximately 59,000 Nebraskans, a number that grows by an estimated 2,000 people each year. 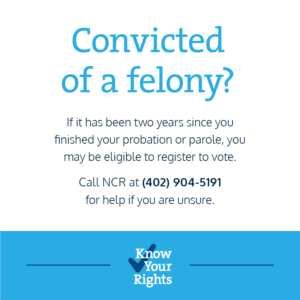 If you have completed your sentence for a felony and have questions about your voting rights, contact Nebraskans For Civic Reform at (402) 904-5191. You may be eligible to vote in November.